Since membranes are used to separate ions, gases, water purification and various purification products, achieving a new alternative structures to increase their yield is very important. Carbon structures such as graphene and carbon nanotubes are very much considered due to their hydrophobic properties and the free space between them, as well as the ability to control the hydrophobicity and pore size. In this research, the role of carbon nanotubes with dense and regular structures, matrix nanotubes and also open end nanotubes, as membranes, have been investigated and their properties have been described. Iijima, S. Nature 1991, 354, 56–58. Iijima, S., Ichihashi, T. Nature 1993, 363, 603–605. Monthioux, M., Kuznetsov, V. L. Carbon 2006, 44, 1621–1623. Fischer, J. E., Dai, H., Thess, A., et al. Phys. Rev. B 1997, 55, R4921. Frank, S., Poncharal, P., Wang, Z. L., Heer, W. A. Science 1998, 280, 1744–1746. Dai, H., Wong, E. W., Lieber, C. M. Science 1996, 272, 523–526. Ajayan, P. M., Iijima, S. Nature 1993, 361, 333–334. Ajayan, P. M., Ebbesen, T. W., Ichihashi, T., Iijima, S., Tanigaki, K., Hiura, H. Nature 1993, 362, 522–525. Dujardin, E., Ebbesen, T. W., Hiura, H., Tanigaki, K. Science 1994, 265, 1850–1852. Dujardin, E., Ebbesen, T. W., Krishnan, A., Treacy, M. M. J. Adv. Mater. 1998, 10, 1472–1475. Majumder, M., Chopra, N., Andrews, R., Hinds, B. J. Nature 2005, 438, 44. Hummer, G., Rasaiah, J. C., Noworyta, J. P. Nature 2001, 414, 188–190. Ackerman, D. M., Skoulidas, A. I., Sholl, D. S., Johnson, J. K. Mol. Simul. 2003, 29, 677–684. Shannon, M. A., Bohn, P. W., Elimelech, M., Georgiadis, J. G., Marinas, B. J., Mayes, A. M. Nature 2008, 452, 301–310. Whitby, M., Quirke, N. Nat. Nanotechnol. 2007, 2, 87–94. Miller, S. A., Young, V. Y., Martin, C. R. J. Am. Chem. Soc. 2001, 123, 12335–12342. Srivastava, A., Srivastava, O. N., Talapatra, S., Vajtai, R., Ajayan, P. M. Nat. Mater. 2004, 3, 610–614. Hinds, B. J., Chopra, N., Rantell, T., Andrews, R., Gavalas, V., Bachas, L. G. Science 2004, 303, 62–65. Holt, J. K., Park, H. G., Wang, Y., et al. Science 2006, 312, 1034–1037. Alsyouri, H. M., Langheinrich, C., Lin, Y. S., Ye, Z., Zhu, S. Langmuir 2003, 19, 7307–7314. Sano, T., Iguchi, N., Iida, K., Sakamoto, T., Baba, M., Kawamura, H. Appl. Phys. Lett. 2003, 83, 4438–4440. South-Kaman-Zadeh, A. and Dashtbozorg, A., 2016. Facile chemical synthesis of the nanosize structure of Sr 2 TiO 4 for degradation of toxic dyes from aqueous solution. Journal of Molecular Liquids, 223, pp.921-926. Roozbehani, B. and Dashtbozorg, A., 2016. Catalyst and Natural Gas Partial Oxidation. American Journal of Oil and Chemical Technologies: Volume, 4(4). Goosefish, M.A., Abadi, M., Abbasi, Z., Dashtbozorg, A., Rostami, M.E. and Ebadi, M., 2016. A hydrothermal method for synthesizing ZnFe2. Journal of Materials Science: Materials in Electronics, 27(8), pp.8654-8660. Jadidi, N., Roozbehani, B., & Saadat, A. (2014). Application of Organic Surfactants to Recover Hydrocarbons from Oil Sludges. Journal of Environmentally Friendly Processes: Volume, 2(5). Rahmandoost, E., Roozbehani, B. and Maddahi, M.H., 2014. Experimental Studies of CO2 Capturing from the Flue Gases. 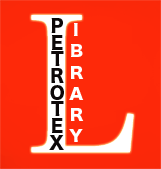 Iranian Journal of Oil & Gas Science and Technology, 3(4), pp.1-15. Motevasel, M., Roozbehani, B., and Shahi, A., 2014. Catalytic Degradation of Mixed Polymers into Environmental Friendly and Useful Products. American Journal of Oil and Chemical Technologies: Volume, 2(12).